The St. Lucie River in Stuart, Fla., shown here in July 2016, is experiencing it’s third toxic algae bloom since 2013. The U.S. Army Corps of Engineers approved a plan to create a reservoir south of Lake Okeechobee to reduce toxic discharges, clearing a path for Congress to include funding for the project in the Water Resources and Development Act. The approval came a day before the Corps began releasing polluted water from the lake to remove stress from the aging levee. U.S. Sen. Bill Nelson, D-Fla., called the Corps’ approval of the reservoir project good news in the fight against algae blooms, according to TC Palm. The House approved the WRDA bill in June, with a placeholder for the reservoir pending Corps approval, which means the project can be added to the bill, according to TC Palm. The National Marine Manufacturers Association is asking stakeholders to reach out to members of Congress to request approval of the project. 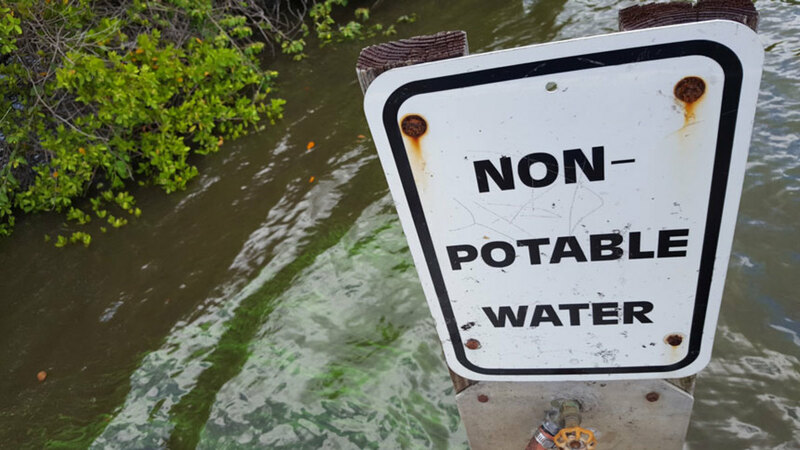 The Army Corps’ decision to begin releasing polluted water has residents on both coasts concerned about a possible repeat of 2016’s toxic algae blooms, according to a story in the Miami Herald. “The Corps is attempting to avoid exacerbating the problem by repeating a strategy from 2016 — releasing the water in small batches over the next two weeks to simulate rainfall events,” the Herald story stated. “The idea is that the technique limits the usual impacts of the influx of nutrient-dense water — massive, stinky algae blooms that kill fish and wreck tourism — by allowing in salt water to kill the algae. “Moving around the nutrient-dense lake water, fouled by runoff from septic tanks, ranches and sugar farms, is something like a game of hot potato,” the newspaper said.